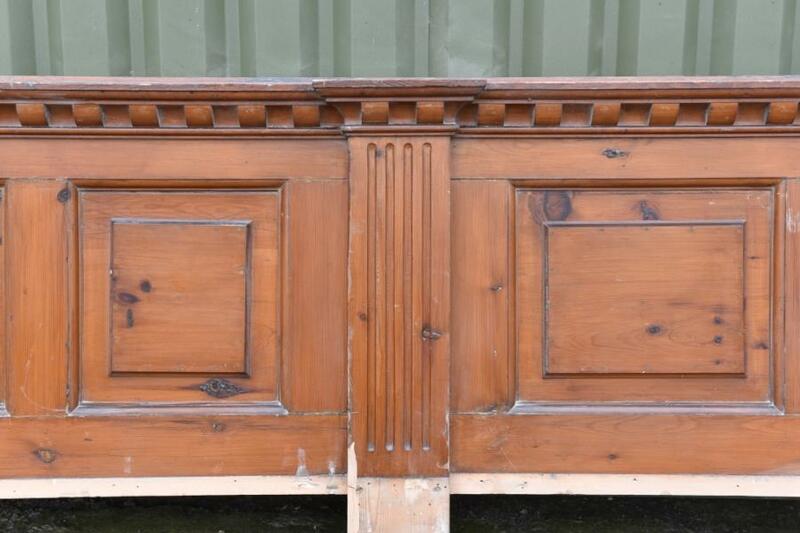 A long run of antique Victorian pine panelling from a church.Good colour in original finish. 27 running meters in total made up of 5 long panels and 4 short ones. 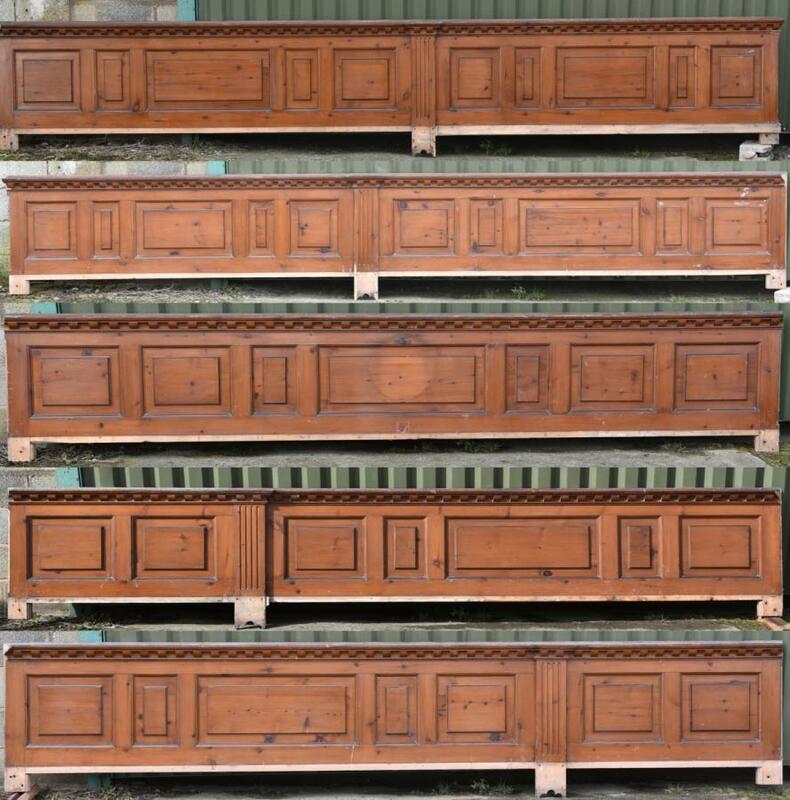 To be sold as one lot with associated rails and mouldings. 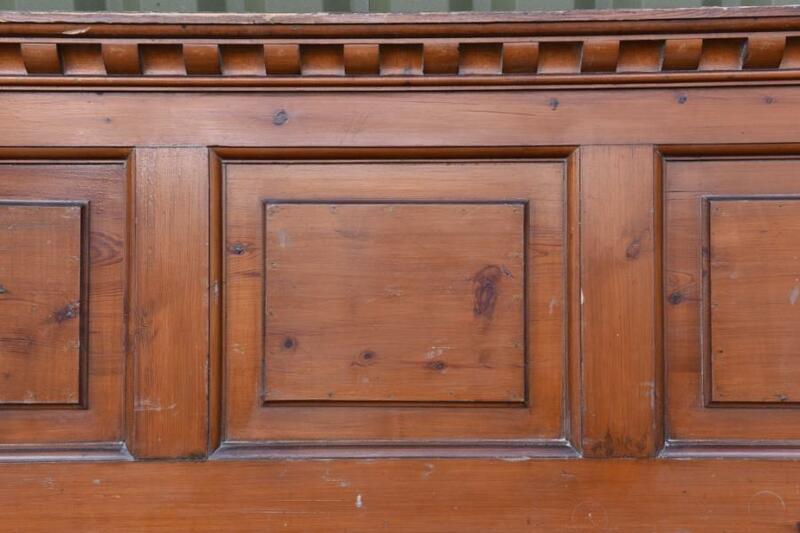 Will lend itself to low wall panelling, shop counters and possibly bar fronts. For more information; photos and exact measurements please email.